Friends.. 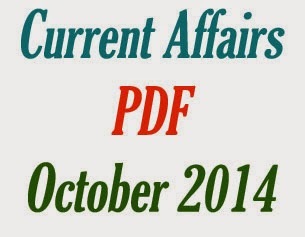 Here is the much awaited completed Current Affairs PDF for the month of October 2014. 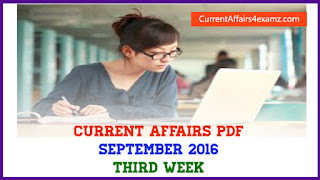 We are much happy hearing from you that our monthly current affairs pdf is helping you in facing various competitive exams with ease. Thank you once again for supporting us. Do comment your suggestions/views for further improvement. Thank you. All the Best.